After Mayor Phil Goff let the cat out of the bag (see: Road Pricing for Auckland On The Way) the Government today released the Terms of Reference on how Road Pricing might be done in Auckland. The Government and Auckland Council have agreed on Terms of Reference to establish a project to investigate smarter transport pricing in Auckland. “Alongside our current multi-billion dollar transport investment in Auckland, we need to look at new ways of managing demand on our roads to help ease congestion. Smarter transport pricing has the potential to be part of the solution,” Finance Minister Steven Joyce says. “Work undertaken last year by the Government and Auckland Council found that smarter transport pricing could help make a big difference in the performance of Auckland’s transport system,” Transport Minister Simon Bridges says. “Smarter transport pricing could involve varying what road users pay at different times and/or locations to better reflect where the cost of using the roads is higher (i.e. where there is congestion). This could encourage some users to change the time, route or way in which they travel. “It is essential that we carefully consider the impacts of pricing on households and businesses. A key factor will be the access people have to public transport and other alternatives. “The Government has also made a clear undertaking that any form of variable pricing will be primarily used to replace the existing road taxes that motorists pay. This is about easing congestion, not raising more revenue,” Mr Bridges says. The Smarter Transport Pricing Project will undertake a thorough investigation to support a decision on whether or not to proceed with introducing pricing for demand management in Auckland. Officials from the Ministry of Transport, Auckland Council, Auckland Transport, the New Zealand Transport Agency, Treasury and the State Services Commission will work together and engage the public to develop and test different options. The first stage of the project, which will lay the groundwork for assessing pricing options, is expected to be complete by the end of 2017. Auckland Mayor Phil Goff has welcomed the joint Auckland Council and Government investigation into road pricing for Auckland as a practical, long-term solution that will help address the city’s chronic congestion issues. The Mayor, Finance Minister Steven Joyce and Transport Minister Simon Bridges today announced the terms of reference for the Auckland Smarter Transport Pricing Project, a recommendation of the Auckland Transport Alignment Project (ATAP). The joint Government and Auckland Council project will investigate the use of a congestion tax on Auckland’s road network and make recommendations on whether and how to introduce it in the city. “I welcome Government and Auckland Council working together to explore options such as congestion charging,” said Mayor Phil Goff. “Among the solutions to the problem of increasing congestion and gridlock is to adopt a smarter road pricing system. Well-designed road pricing systems have proven successful in influencing driving behaviour and reducing congestion in cities around the world such as Singapore, London, and Stockholm.” Phil Goff said. “With 800 extra cars on Auckland roads each week, and 45,000 additional residents in our city each year, radical changes need to be made to stop our city grid-locking,” says Auckland Mayor Phil Goff. “However, it will be years away before a congestion charging system could be put in place. In the meantime, with a deficit likely to be more than $7 billion to fund new transport infrastructure in Auckland over the next 10 years, we need new sources of revenue now. “Revenue sharing from central government, as happens in Australia with a percentage of GST devolved from Federal Government, and the ability to raise revenue ourselves to fund infrastructure are both needed. “There’s no silver bullet solution to traffic congestion, but more investment in transport infrastructure in Auckland is critical. Changing travel behaviour also has to be part of the solution. “Auckland is constrained by limits on our ability to borrow and we have to rely almost solely on rates to raise revenue to spend on infrastructure. Congestion charging will work but only if we have created alternative travel options for Aucklanders, including effective public transport. That is what we need to be investing in right now,” he said. Auckland’s Deputy Mayor Bill Cashmore says Auckland Council is looking forward to working with the government and various agencies in a continuation of the strategic approach agreed through ATAP last year. “This is another important step towards addressing the serious transport issues we have in Auckland. 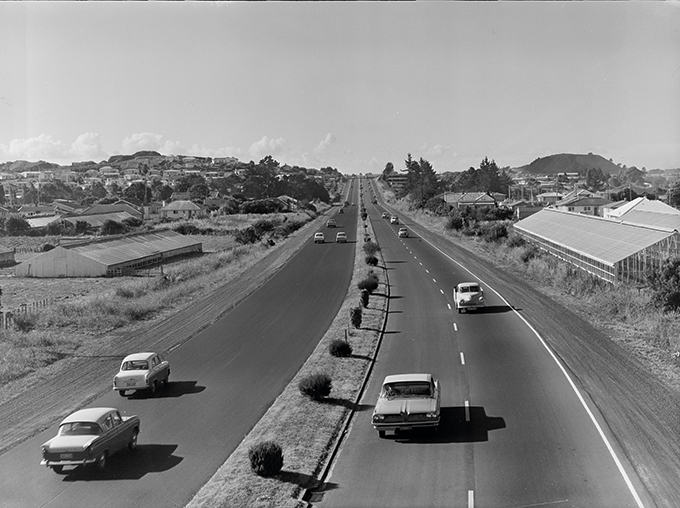 The Auckland Transport Alignment Project recommended progressing smarter transport pricing with a view to implement it within 10 years alongside the government and Auckland Council working on agreed approaches to addressing Auckland’s transport funding gap.